How could this be? It felt almost like styrofoam. After some quick google research, I discovered it was made from something more commonly referred to as Air Dry Clay, and I knew I needed t get my hands on this stuff! 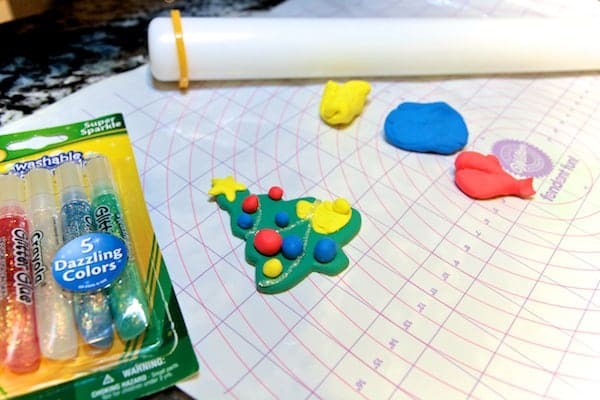 Fast forward just a couple weeks and as luck would have it, I received an opportunity to try a few of Crayola’s products to complete a craft project with my toddler for the holidays. 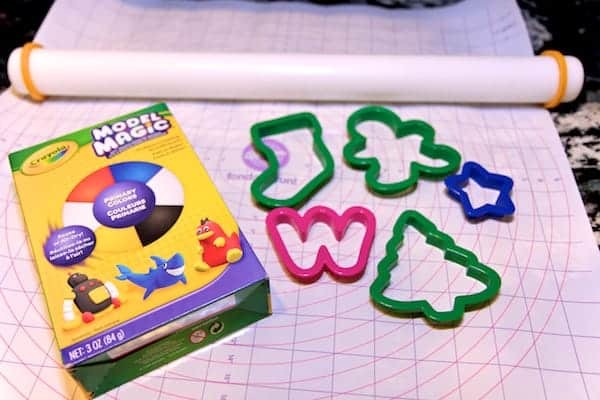 I was thrilled to find some Crayola Model Magic included in the kit! 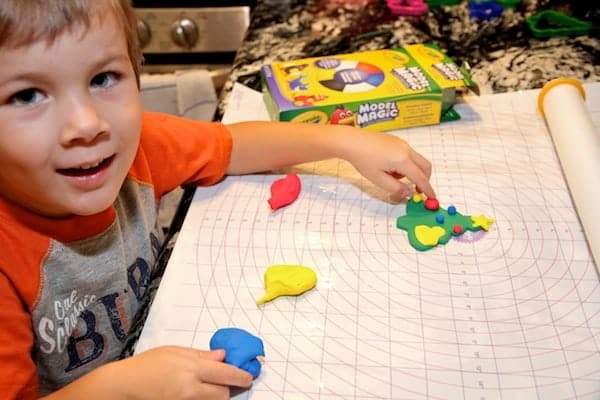 Crayola Model Magic is amazing. Aside from just wanting to squish it endlessly, it’s a modeling compound that is soft and squishy, doesn’t stick to your hands yet sticks very well to itself. 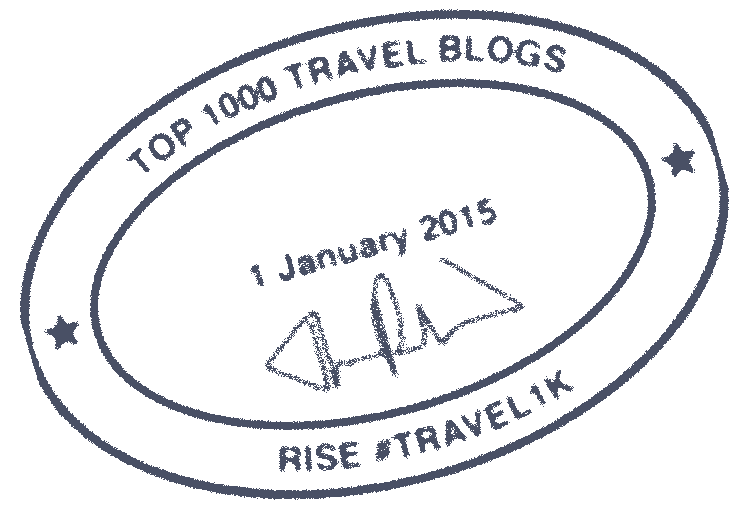 You can keep it in an airtight container to reuse later or let it air dry to preserve your masterpiece. While I don’t have half as much talent as the artist who made our wedding cake topper, I knew that this being our first year to put up a Christmas Tree, I wanted Whistler to make some keepsake ornaments and this was perfect for the job. 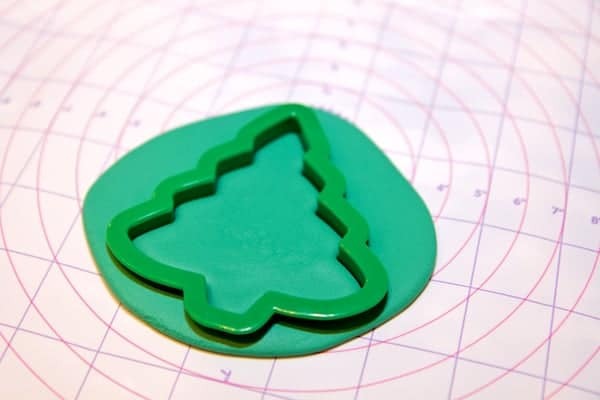 I gathered some cookie cutters, my fondant rolling pin and my Wilton Roll and Cut Mat. 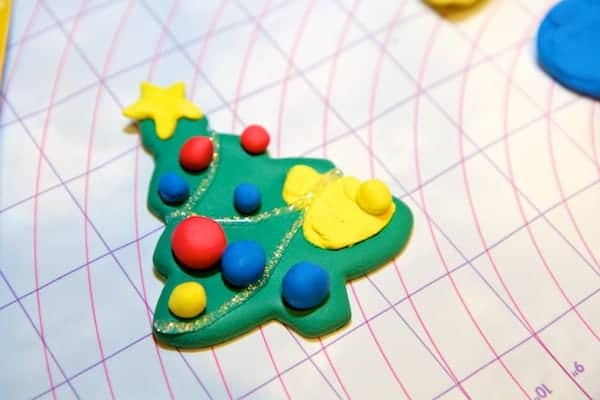 I squished some blue and yellow together to make green and then rolled it out and used a Christmas Tree cookie cutter shape. After molding a small star for the top, I left it up to Whistler to decorate the tree as he liked. Once he was finished, I added a simple glitter garland using some white/clear Crayola Glitter Glue. 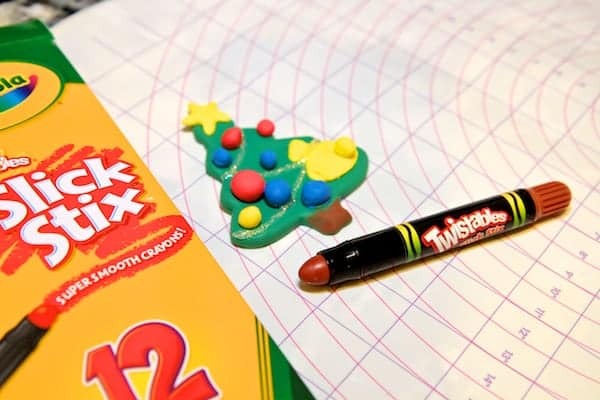 I was also able to make the trunk brown by simply coloring it with Crayola Slick Stix. If you haven’t seen or used these yet, they produce a silky, smooth, opaque color on unconventional surfaces like foil, foam, sandpaper, paper towels and more and I was happy with how easily I was able to color the clay. I used a toothpick to create a hole for hanging and have set the ornament out to dry overnight. Whistler can’t wait to hang it on the tree tomorrow morning! 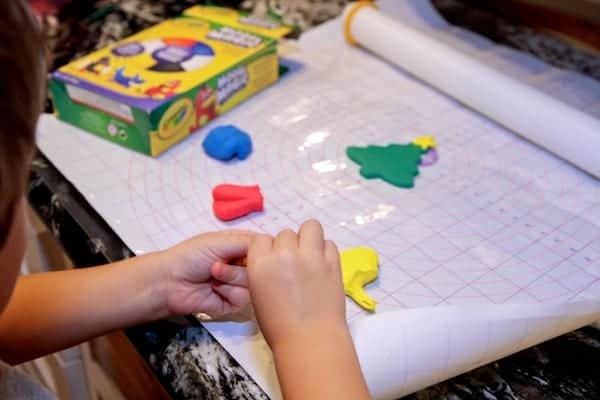 Be sure to check out the Crayola “Holiday Crafts” Pinterest Board for even more inspiration. 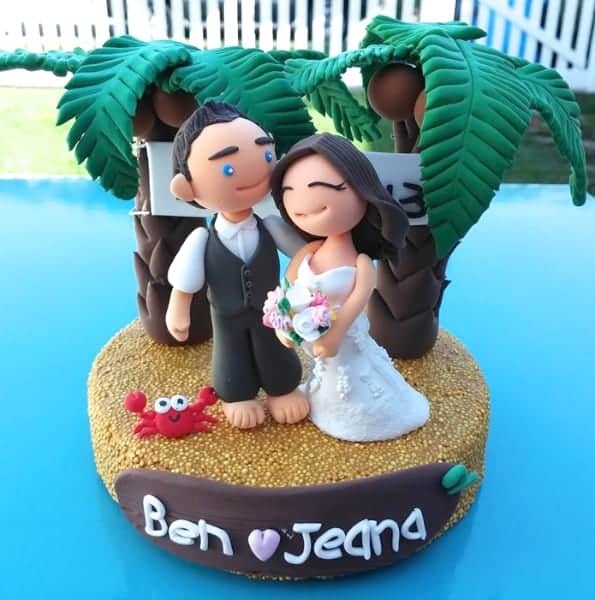 I am in awe of the cake toppper first off. And I love your son’s tree. He did such a great job. What a fun project! His ornament looks wonderful – he did a great job on it!